Tobias Møhl is a modernist who creates elegant vessels, understated in both form and color - complex but never flamboyant. As the New York Times critic Roberta Smith wrote in a review ‘the work of Tobias Møhl, a Danish glassmaker, impresses sotto voce with small bowls crisscrossed with infinitesimal threads of color.’ Combining an extraordinary technical mastery of his craft with an exquisite level of taste, he successfully translates a historically Italian glass-making idiom into his own, distinctly Scandinavian voice. 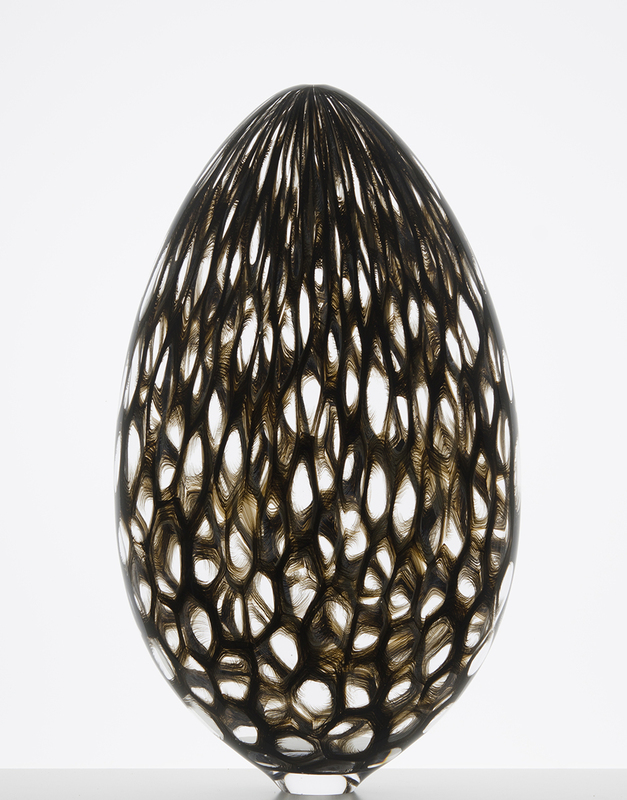 Møhl’s work is included in collections of the Corning Museum of Glass, Corning, NY; Memorial Art Museum, Rochester, NY; Museum of Arts and Design, New York, NY; the Museum fur Kunst und Gewerbe, Hamburg, Germany; The Danish Museum of Decorative Art, Copenhagen, Denmark and other public and private collections in the USA and Europe. A studio artist and teacher, Tobias Møhl works and resides in Ebeltoft, Denmark.